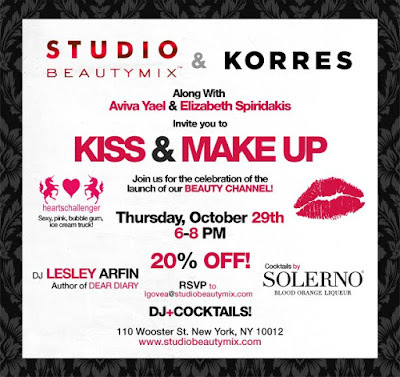 Me & Veevers are hosting this THANG for BeautyChannel...So are you coming or what? If you don't come I am like, never talking to you ever again. Be Fri necklace half in trash. PS- Can I get New York bloggers up in here or what? I want to meet yous ! I'd be there in a heartbeat, lady. Should be there in January! luvzzz Madame Barfin Arfin. I have another to attend at the exact same time! But I'm going to try to do both. This sounds fun! oopsie, I meant another event. haha. confession: i rsvpd for this only after seeing your name on the invite. stalker city! lookout! hello. wish i'd known about this! so this must have been what belle (fashionpirate) was talking about! damn.